Children spend a lot of time online whilst at home, it can be great fun but there are a lot of potential risks so it is important that parents talk to their children about staying safe. Child Exploitation and Online Protection Centre – Make a report by clicking on the link to the left if something has happened online which has made you feel unsafe, scared or worried for yourself or your child. Social media often features parents sharing photos of their children, but how can this be done safely? Click on the link below from the BBC to find out more. The guides below contain excellent guidance for the three of the most commonly used applications at home, particularly for Junior children. The videos below from the NSPCC and CEOP (Child Exploitation & Online Protection) prompt important discussions about the dangers of sharing personal images and information online. Play Like Share are the most recent videos from CEOP. Click the link below for a guide in how to use it. Websites also provide a range of excellent information specifically for parents, please use the links below. There is also an E-Safety page for children within this website and as a school we regularly send updates via our weekly newsletter and via our Twitter account which can be accessed via the Homepage (you do not need to have a Twitter account). If you are concerned about an online incident that has happened at home please click the Report button located at the top of the page. Click on the logos below to access more useful websites. 0808 800 5002 O2 & NSPCC – Call the number to get free advice about how to keep your child safe online. Parental Controls – Advice on setting controls for your internet and devices. Primary Children – 8 to 11 years old – The CEOP’s ThinkUKnow guidance and awareness information for primary school children. 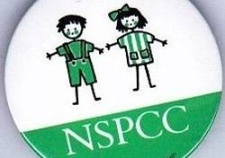 NSPCC – Keeping children safe from abuse online and in the real world. Excellent guidance and support for parents and children.